To hashtag or not to hashtag? Post an image or video? Add or skip the emoji? 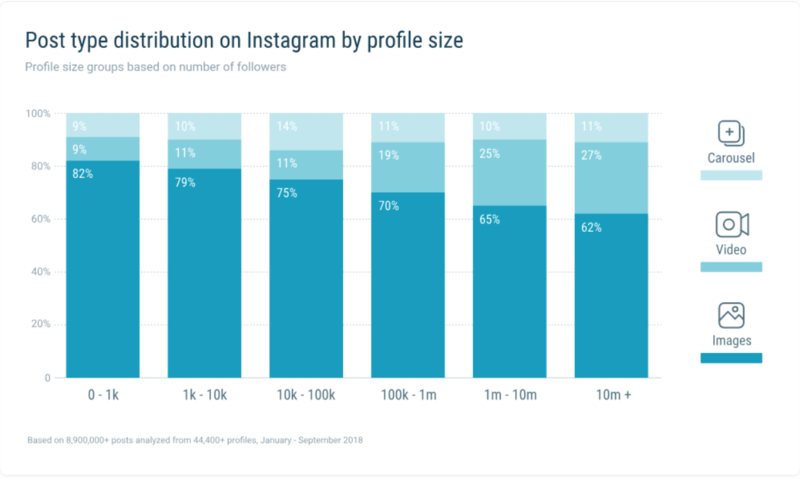 These and many other Instagram best practices were analyzed in a recent study published by social media analytics company, Quintly. 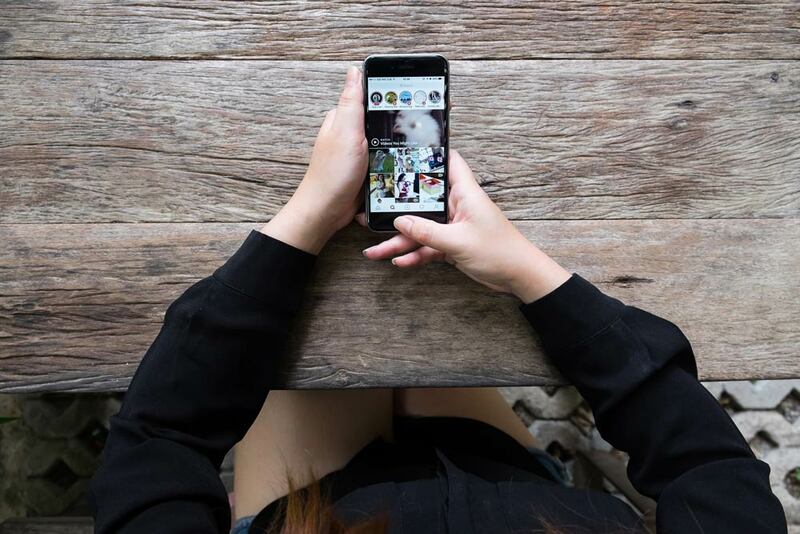 The company set out to better understand not only usage behaviors but engagement best practices across Instagram’s 1 billion users worldwide. Analyzing the performance of 44,432 Instagram Business profiles and over 8.9 million posts between January 1 and September 30, 2018, Quintly’s findings may have you rethinking your current Instagram business strategy. Interactions can be defined as the sum of likes + comments. With this metric in mind, images are the most common format posted on Instagram, with 72.6% of all published posts versus video and carousel posts, but are users actually interacting with photos? With 21.2% more interactions via video than images, the answer is not really. Videos draw higher engagement numbers, which is not exactly groundbreaking news, but what is interesting, is bigger profiles post more video. The higher the number of followers a profile has, the more that you see an upward trend in using videos. Does this mean your business should be posting more videos over images? There’s no guarantee that videos will positively impact interactions as this is all dependent on your audience, but it’s not a bad idea to test. With only 16.7% of users posting video, it is time to capitalize on the user interaction and get noticed. While hard to escape the 😂 Face With Tears of Joy and 😍 Smiling Face With Heart-Eyes in personal communication, businesses and influencers on Instagram use the small digital icons on the regular too, but what’s the value in an emoji? Do emojis lead to more interactions or are they simply used for dramatic effect? As shown in the above graphic, using 1-3 emojis in a post may have a positive impact on interactions. It appears the little icons may be doing more than insinuating an emotion. Emojis help humanize your brand by expressing emotion, as their name suggests. People use emojis to communicate in their regular lives, so using them in a business post help them better connect with audiences. They make a brand seem more approachable and in touch. So, before you post, you may want to consider including at least one emoji to spark engagement. When determining a strategy around when to post, it’s important to analyze the content competition, as saturation is a huge issue in today’s market. Quintly’s study found a total of 76.13% of Instagram posts are published from Monday to Friday. That means only about 23.8% of are made on the weekends, even though 22.3% more interactions occur on the weekend than during the week. This particular finding may inspire you to capitalize on when people have more free time. Consider weekend posting to maximize engagement performance and to reduce algorithm competition. Do I Need to Scrap My Instagram Strategy? While Quintly’s study did include a data set of 9 million posts, it’s important to not assume that you will see the same results/trends. Rather, you can test their findings in a way that is fit for your business. Use this data as inspiration for experimentation in your social media marketing strategy. A/B testing is a great way to make educated decisions before revamping marketing strategies, but be sure to keep an eye on performance metrics and adjust accordingly! Happy ‘gramming!